Adrian Zecha is up to his old tricks: following the backpackers, but this time with a 3-star-plus brand. This is the latest in a series of profiles of leaders around the world challenging the status quo. Read them all, including Legend Sir Michael Kadoorie of Peninsula Hotels, and Groundbreaker Cyril Aouizerate of Mob Hotels, in HOTELS' April issue. 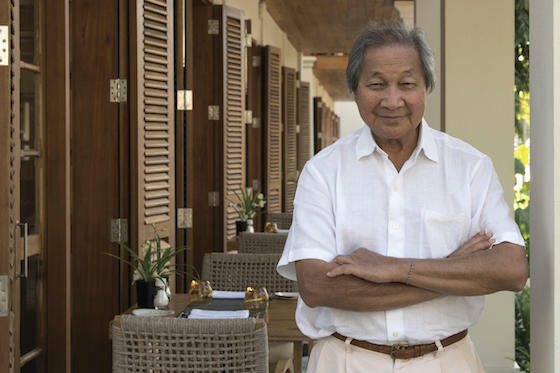 At age 84, the one-time high priest of ultra-luxury, Adrian Zecha, is back with a new 3-star-plus brand that he believes will cater to his former Aman “junkies” because the new hotels will be located in untested areas where the backpackers go first. “The moment I hear there is a rising crescendo of praise for a new destination, first it would come from the backpackers. They continue to lead me,” says Zecha, who in February soft-opened his first Azerai, a name that blends Zecha’s initials and caravanserai, the Persian word for a courtyard for travelers at rest. Zecha says the initial plan is to develop two more within the year in Asia. At a rate starting around US$250 a night, which Zecha expects to creep up above US$300, the first Azerai is in the township of Luang Prebang, a UNESCO heritage site in north Laos, 388 miles from the capital of Vientiane. The town is home to 30 active Theravada Buddhist temples. 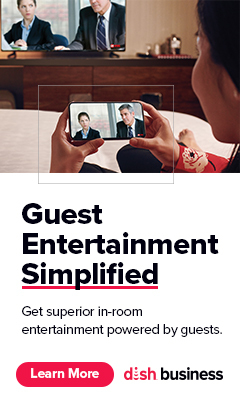 The 53-room hotel, with three room sizes, features a fusion of cultural heritage and contemporary aesthetics. There are several lounges and terraces at the former site of bungalows, used first as French officer quarters and later by the Laotian government, before it became a hotel that closed in 2014. The rooms are 30 square meters versus the 75 square meters of Aman, with open plans, en-suite shower room, vanities, a convertible king-sized bed and French doors that open to a balcony or terrace with loungers. Azerai also has a 25-meter pool, a massage retreat and fitness, dining and a bar with a birds-eye view of the main street and night market.